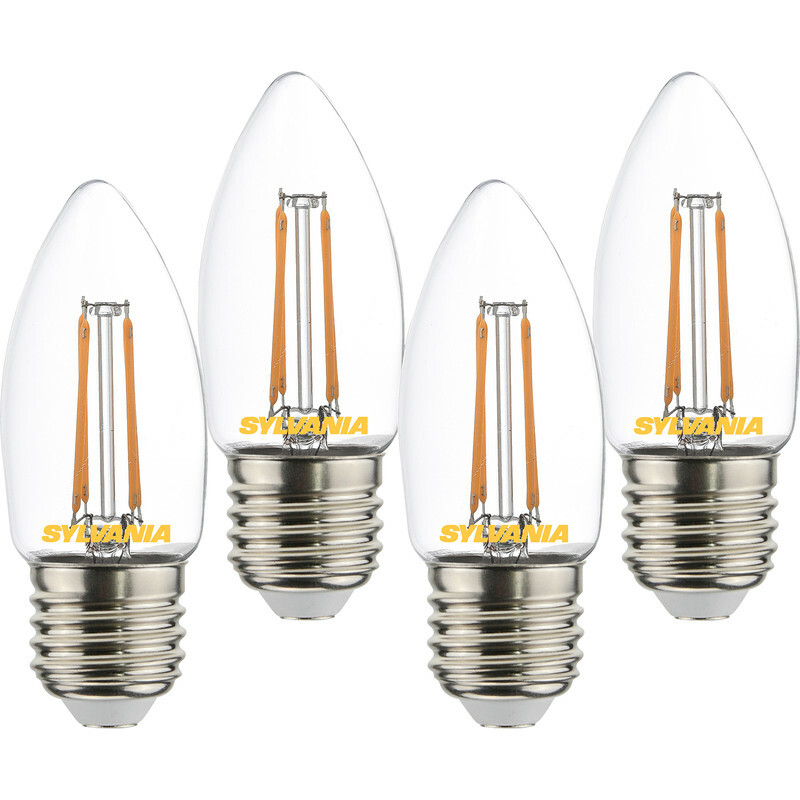 Sylvania LED Filament Clear Candle Lamp 4.5W ES (E27) 470lm (4 Pack) is rated 4.0 out of 5 by 1. Rated 4 out of 5 by Mud Mouse from Great Lamps Bought these as replacements for 42W Halogens. OK but are not as bright, but are adequate. Not sure of longevity.